Are you looking for an extensive list of the best affiliate marketing programs specific to the food and drinks industry? Then we have just the perfect guide for you! Here we have not one, but 23 of the latest products that you can start promoting. If this list of the best affiliate marketing programs of 2018 doesn’t look like it’s going to be enough for you, then you can always check out the rest of our specially selected affiliate programs that you can sign up to. Known as “red gold”, saffron is the world’s most valuable spice. 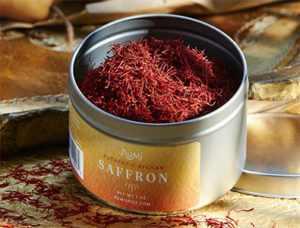 Used by world-class chefs, saffron is commonly added to Spanish dishes as well as in Italian risotto. This spice is known for its distinctive aroma and flavor and it’s no surprise that it is highly sought after in restaurant kitchens and not to mention private hosts that delight in impressing their guests with their high-class cuisine skills. If you’re in search for the world’s highest quality saffron, then you’ll find it at Rumi – sourced directly from Afghanistan farmers. First up in our guide to the best affiliate marketing programs is a product that will earn all you affiliates a 10% commission on sales. This sounds like a great product to promote to all those cooking addicts, and so you should apply as an affiliate of Rumi and start marketing their saffron. Glassware is overrated, apparently. Well, the moment you set your eyes on Elyx Boutique’s cocktail vessels, you’ll be awestruck. Yes, these signature copper drinking cups are the best thing your eyes will see since glassware. If you’re looking to add unique character and charm to your home bar, gift yourself with a cocktail coupe set or a mini pineapple set. Entertaining guests in your home will be a delight. These unique copper drinking cups will also make adored gifts to any beverage enthusiast. This affiliate program may be one of the lowest earners of the bunch, at 8% per sale, but if you sign up with Elyx Boutique and a few others, you’d have a great revenue stream coming in. Don’t you despise it when you are sold a lie? Products that carry so many claims but in actual fact are not any better than ordinary stuff out there. This is particularly the case when it comes to sports nutrition products. Often, the marketing promises heaven and earth but the reality isn’t any close to extraordinary. NorthBound Nutrition understands this and they value transparency. From their various workout products to cognitive energy products and snacks – they truly elevate your fitness nutrition needs. They want you to read their labels because they speak for themselves. No artificial flavors, no artificial colors and no artificial preservatives. 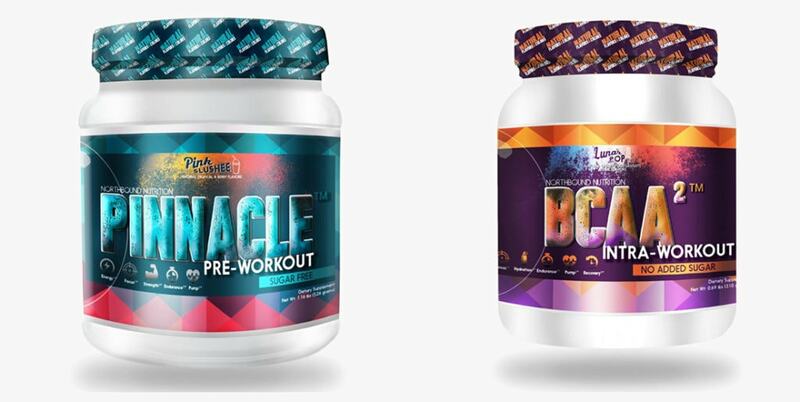 Just premium sports nutrition products. This is one of our favorites from our selection of the best affiliate marketing programs. Want to know why? Because as an affiliate you can earn an impressive 25% commission on sales! So you’d be crazy not to apply as an affiliate of NorthBound Nutrition. Need a painless business idea to generate an additional income? A vending machine is your answer. Candyman Vending will help you with all your supplies, but not just ordinary supplies. Rap snacks and music vending machines are some of the unique products you’ll get from Candyman Vending. These hot selling items will make a great revenue stream. Customers will become addicted to your machine. Become an affiliate of Candyman Vending, and start earning 15% for each sale you make. It’s always the healthy things that are so difficult to do. Unfortunately, drinking water isn’t as exciting and thirst quenching as a refreshing fruit cocktail or a sparkling coke with ice. We have to get creative and do things like trick our brain into thinking we’re drinking a flavored drink in order to consume enough water. Something like The Right Cup is what we need for this brainwashing exercise. These scented cups will trick your brain into thinking that plain water is flavored. Get your cup from $29.95 and water will never taste the same again. This is another great affiliate program where you’ll be earning 15% on sales. Be quick and apply now to start affiliating with The Right Cup. A cup of tea makes everything better. Think you need to visit a health spa? Try sipping on an aromatic cup of tea instead for instant rejuvenation and relaxation. Only the best teas can deliver the most refreshing experiences. 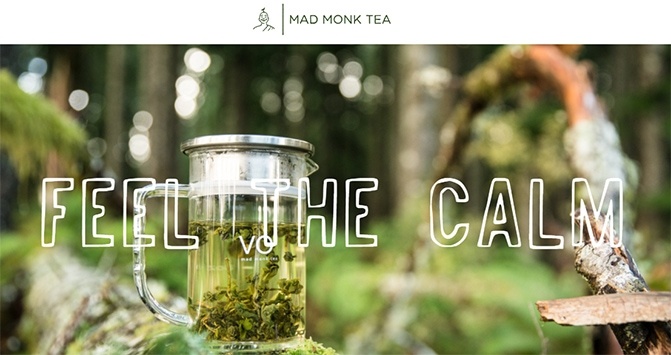 Therefore, if you’re looking for the best teas on earth, you can subscribe to the Tea Club at Mad Monk Tea. From $30, you’ll get the freshest tea delivered to you every month. Ahhh… Put the kettle on and relax. Isn’t that fitting? The best teas showcasing our best affiliate marketing programs! Let’s make it even better by signing up with Mad Monk Tea and start earning 20% on every sale that you make. Everyone needs a treat once in a while. 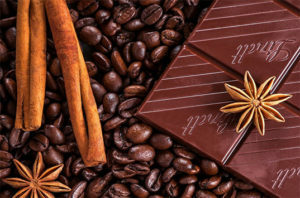 If you’re living on the super healthy side of the spectrum your “treat” options may be limited and a lot less exciting compared to the unhealthy options out there. All hope is not lost because Healthy Cookies Direct will deliver the healthiest and most delicious cookies you can get. Sugar-free and gluten-free. These treats are great tasting and you can enjoy them without any guilt. Hey affiliates, while Healthy Cookies Direct’s customers are indulging in healthy treats, why don’t you indulge in healthy commissions? 10% of each sale coming your way if you apply today and become an affiliate of Healthy Cookies Direct. If anything could lure you into healthier living, then Organic Superfood Smoothies would do it. 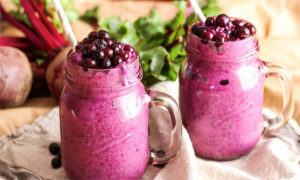 Not only are these smoothies heavenly delicious with bursting flavors such as blueberry, strawberry beetroot, chlorella greens and acai organic but there are also packed with good stuff. Protein, minerals, and vitamins. Get 30 servings of your favorite flavor from under $20. Now that’s refreshing Organic Superfood Smoothies and definitely worth turning over a healthier leaf. The payment structure for affiliates depends on performance. Organic Superfood Smoothies manage a tiered commission system and also offer bonus options of up to $1,000! Interested? Then apply here to become affiliated with Organic Superfood Smoothies. Don’t forget – if our best affiliate marketing programs guide doesn’t kill your cravings, then you should check out our other Food & Drink programs. All you need is a cuppa coffee and you’ll be skipping your way through your day. Other times, pleasant chatter with loved ones is exchanged over coffee. 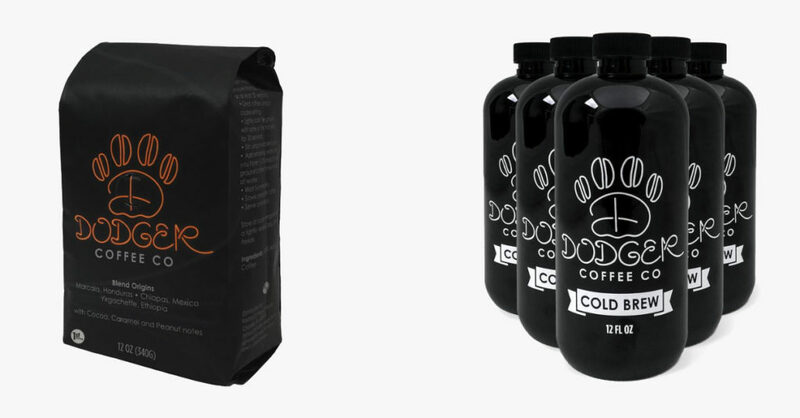 Whatever your experience, Dodger Coffee has created has created coffee products worth sharing with your friends. Signature Dodger Coffee beans will create an irresistible brew with cocoa, caramel and peanut notes to share. Need something refreshing? Then you should try a 6 pack of cold brew coffee and enjoy your coffee experience with people who share the love for coffee. Must try. The commission rates for Dodger is not fixed. You’ll be looking to earn 5-15% dependant on products. To sign up and find out more, you can enter your details here. The pleasure of puffing on a cigar. Life is good and perhaps there is even something to celebrate. Indulging in the goodness of the moment. That’s what the cigar life is all about. 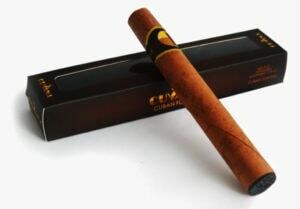 Here is something cigar enthusiasts must try: The CUVANA E-Cigar. This cigar contains the signature CUVANA flavor but contains no tobacco, no tar and emits no smoke. It has the authentic hand-rolled look and feels that will no doubt be approved by those that experience it. This would certainly pass as a much-welcomed gift for any cigar enthusiast. IF you’re going to sign up for one of these best affiliate marketing programs, then CUVANA is definitely one to consider. They boast a massive 25% commission on sales. So get ahead of the pack and apply now to become exclusively affiliated with CUVANA. Yoga. Coffee. Weed. If this sounds like your vibe, then the party is at Jambo Superfoods for all your herbal enhanced snacks. And by herbal, we’re talking cannabis plant type of herbal – cannabidiol oil infused products. Hey, the stuff is good for you and you’d probably enjoy the benefits too. Potions, cookies, ghee and more – all packed with herbal goodness. So apparently the products contain the “virgin” version of the herbal stuff for people who just enjoy the flavor. With that said, it’s worth trying – I suppose it’s a healthier option than snacking on an unhealthy packet of crisps. How about a little commission snack? Apply to become an affiliate of Jambo Superfoods, and start promoting their herbal snacks. This is the halfway mark of our best affiliate marketing programs guide. If you have already found enough products to keep you busy for a while, don’t worry, you can bookmark this page and check out the rest at a later date. Because there’s more to just eating good food and enjoying beverages. You need a T-Rex to open your bottles, you need your veggies to look like chicken drumsticks, you need a guitar case and dinosaur head lunch box, and most certainly without a doubt, you do need to drink your coffee in an amplifier mug. Right? Get all this quirky stuff from the Foodiggity Shop to take your food and beverage experiences to a whole new level of novelty – just because it’s fun to live on the light side of life sometimes. If you are affiliated with Foodiggity Shop you’ll be looking to earn commissions of 10% for each sale. So head over now and apply to be an affiliate with these guys! What do you eat when you’re on the go? Fruit? Crisps? Like many others, you likely go for unhealthy options because well, it’s easier. I get it. I, too, was trying to figure this out, but then I came across Heather’s Choice of dehydrated meals and snacks. Whether you’re out on an adventure or you’re just on the go, eating healthy is now so much easier. You can get pre-packed healthy dehydrated breakfasts, dinners and sweets from Heather’s Choice. All meals are gluten, soy, and dairy-free – you’re getting healthy and delicious foods conveniently packed and ready-to-go with you. The meals may be dehydrated but the commissions are very well hydrated. Earn commissions of 10% simply by applying as an affiliate. and promoting Heather’s Choice products. That’s our lucky 13 inclusion to our best affiliate marketing programs guide. Carry on reading to learn about more programs that you can sign up to or click here to check out other great food & drink affiliate programs. Whoop! Hello, holiday! So, you’re either one of the masses that believe in no rules over the holidays (yes high five at you – screw rules!) or you’re a rare species of human that is very well behaved (*rolls eyes* – good for you!) as far as your beverage consumption is concerned. The good news is that we’ll all be friends with New Age Shop – either to take us through the holidays healthily or to help us return to good health in the new year after we’ve wrecked ourselves. Get healthy all-natural beverages such as probiotic water on a monthly subscription – great for active lifestyles. Cheers! Now let’s start promoting a healthy living and make money in the process. Apply to become an affiliate of New Age Shop, and get paid 10% of each sale you muster. Chances are you’ll be wrecked by the time the new year arrives. Yeah, the holiday gets the best of most of us. Rough times come when we’re trying to get back into the grind of things. However, that’s ok because it’s nothing that coffee from The Italian Coffee Club can’t handle. So go get your grind back on in the new year with an affordable monthly subscription of premium quality coffee – available in various tasty blends. From only 8.95 GBP per month – that’s an outstanding value! 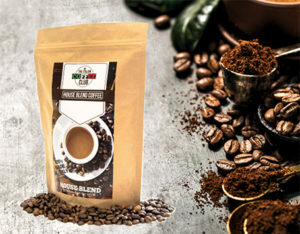 Think you can help The Italian Coffee Club increase their subscription count? Then you should jump onboard their affiliate program and start marketing their exclusive coffee club. I enjoy visiting people in their homes – it’s usually inspiring. I have observed that there are two types of people: those that have cupboard space fairly consumed with all the hot sauces and spices you could dream of and then there are those that are less adventurous as far as spicing up their taste buds – where salt and pepper is as far as it goes for them. Here’s a shout out to all the adventurous people from Saucy-One – where you can get exciting specialty hot sauces, salsas and seasonings. 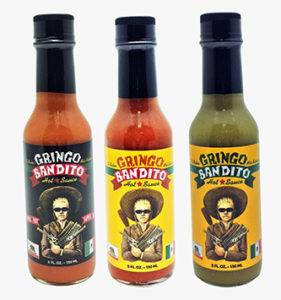 Because everything is more exciting with a little hot sauce – don’t you think? How about some saucy commissions to go with that? Affiliates of Saucy-One earn 10% for every sale they make. So apply now to spice up your revenue stream. So apparently you can’t call yourself a coffee enthusiast if you haven’t been as adventurous as The Shelvin Shop will let you. Whoever comes up with these flavors has a wild imagination. As you can get flavors such as apricot cream, banana split, blueberry cream, butter pecan and even caramel apple. Yeah, The Shelvin Shop will take your roast to an exciting level of flavor. Only then can you boast yourself as a coffee enthusiast – don’t you think? Here is another one of today’s best affiliate marketing programs where you can earn big! Commissions of 20% to be exact! So click here to apply as an affiliate with The Shelvin Shop. When delicious comes to mind, you think of sweets and treats – don’t you? Perhaps loads of calories too. The story of our lives. But superfood company, Naturya, is here to change things for the good. Get nutrient-rich superfoods made with natural ingredients. Stuff like Super Conserve which is so low in sugar it can’t be called jam but your taste buds will thank you – and so will your body! This is simply natural goodness. 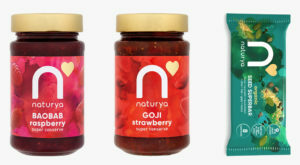 Register now as an affiliate of Naturya, and you can earn some delicious commissions for each sale. Listen up before you indulge in all the sweats and treats when the craving attacks. Your diet doesn’t need to go downhill. 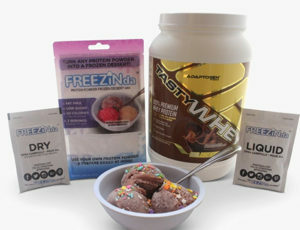 Instead, you can still enjoy the pleasures of frozen desserts only in this case made with whey protein from FREEZINda™. And guess what? It’s fat-free, low in sugar and low in calories! The best part, you can get it for as little as $14.95! And still, enjoy your frozen dessert this holiday without derailing your healthy diet and pile on pounds. Phew. Happy holidays! Want to earn the biggest commission of the day? 33.7%? Then apply now to become an affiliate of FREEZINda™ and you can start earning 33.7% in commission! Only a few more until we reach the end of our special 2018 best affiliate marketing programs. We would just like you to know that we have 40+ more Food & Beverage programs that may interest you. The alarm goes off. Then it’s that mad rush into the shower once you realize that your 10-minute snooze turned into 30 minutes. At this point, your priority is getting to wherever you need to be to on time. If you do make it on time, you feel like you have won the day. But as the morning goes on and your enthusiastic sense of micro accomplishment dies a natural death, you grab a muffin or two to salvage your energy. So much for being healthy. How about a delicious instant breakfast shake from Complete Start to save your day? Made with 100% certified organic ingredients. Stash your kitchen, your office, your car and your bag with a pack or two and get real food when you need it. At only $3.33 per breakfast, you’ll save so much time and money. Oh, and not just that, but you’ll also be healthy! Affiliates, interested in a juicy 20% commission on sales? Why wait around? Instead, you should be applying now to become an affiliate of Complete Start. You’ll want to host a party this weekend once you check out the Barware Club. Chuckles, pleasant people, good beverages and stylish barware all make the perfect home party. 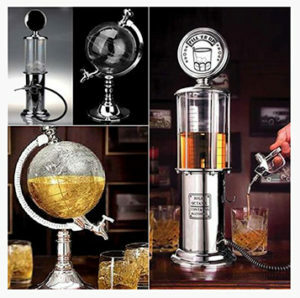 So go ahead and impress your guests with premium barware from the Barware Club in unique and stylish designs. Designer glassware, fancy beverage dispensers, and super-cool cocktail accessories will create the WOW at your next hosted event. Event planners will no doubt excite over these items too. And did I mention that these products are super-affordable? Apply here to become an affiliate of the Barware Club. Then you can start earning 10% from each sale that you generate. 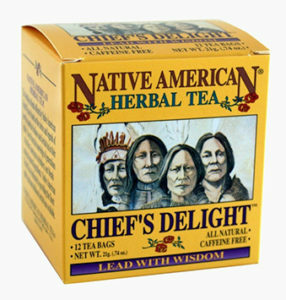 In the spirit of Native American legends, stories, and myths of how they traditionally used teas – you’ll get delightful natural teas from the Native American Tea Company. Inspired by generations of the first American tea drinkers, you’ll get the finest quality herbal tea. 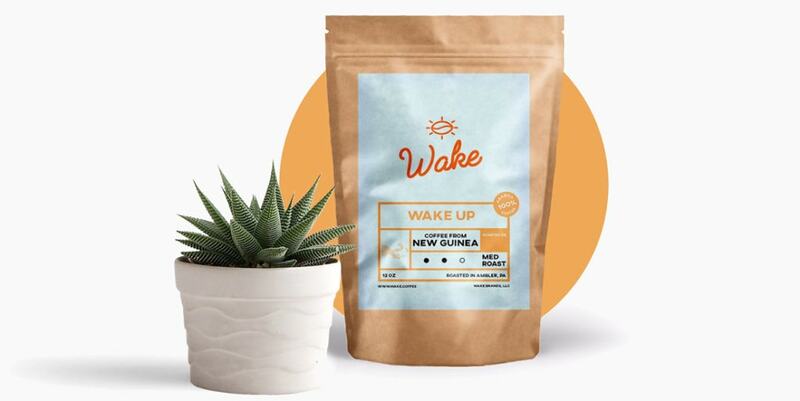 Various delicious teas for sleep and wellness are available – naturally caffeinated or naturally non-caffeinated. These would make great gifts for any tea enthusiast. 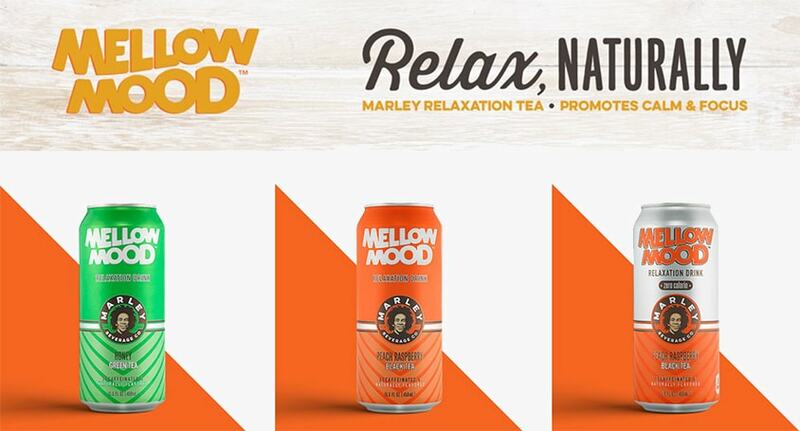 Want to earn 15% of sales just from promoting these delicious teas? Then hurry up and apply here to become an affiliate of the Native American Tea Company. We have planned to release similar best affiliate marketing programs guides in the future. But of course, we will aim to focus on different affiliate niches. So share and follow our posts if you don’t want to miss all the latest affiliate programs.